Chop onion, green chillies, ginger and curry leaves finely. Add maida, turmeric powder and salt to the idli batter and mix well. If necessary add little water and make a thick batter. 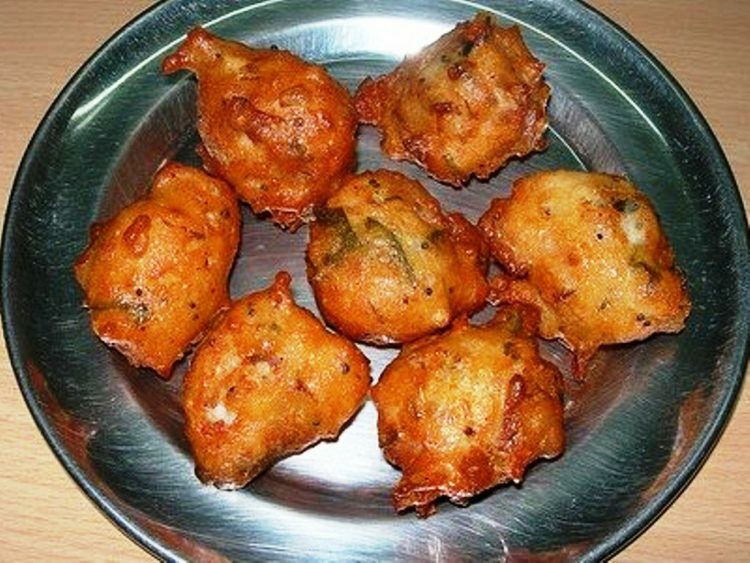 Batter should be thicker than bajji batter. In a kadai put a tablespoon of oil. When it is hot add mustard. When it pops up, add jeera, chopped onion, green chillies, ginger, curry leaves and fry for a while. Pour this seasoning over the batter and mix well. Heat oil in a kadai. When it is hot, take a tablespoon of batter and drop in the oil. You can drop four to five at a time. Fry in the oil till it become golden brown. I identified http://www.kamalascorner.com after previous months and I'm very excited much to commence participating. I are basically lurking for the last month but figured I would be joining and sign up. Besan is “Kadalai Mavu” in Tamil and it is bengal gram dhal flour.